Dennis Dawson, "Untitled (this stack won’t blow),"2001-17, Oil crayon, absorbent ground medium, gesso, ink, collage on paper, 8 x 10 in. Image © of the artist and frosch&portmann. 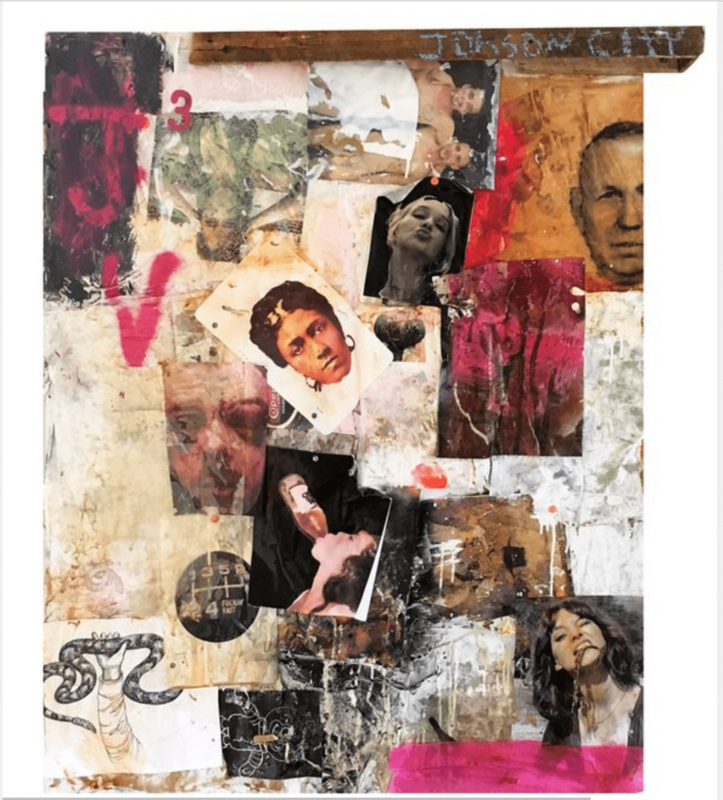  Archived in Art, Contemporary, Creative and tagged Basel, Collage, Dennis Dawson, Found Materials, GalleryLOG, Mixed Media, VOLTA. Bookmark the permalink.